Film photography was a slow progression for me. I had been shooting digital for several years and then I picked up my father's OM-1 and shot a roll or two through it. I took it to be developed and fell in love. I then went to a medium format camera (Hasselblad 500cm) and I shot a few rolls through it. I quickly began dreading the development costs and decided I needed to develop it on my own. I adopted a hybrid system where I would shoot in film, develop chemically, scan and post process on the computer. I kept dreaming of getting a darkroom set up but I could not find an affordable enlarger. I found several on Ebay but they all required local pick up and there was nothing near my home. One day I checked and happened to find one a mere 20 miles away. I purchased it and picked it up. A wonderful LPL enlarger was mine, along with a 50mm lens, to packs of Ilford paper from the 1980's. I began playing with it in my bathroom (see the picture on the left) and through trial and error, I began learning. 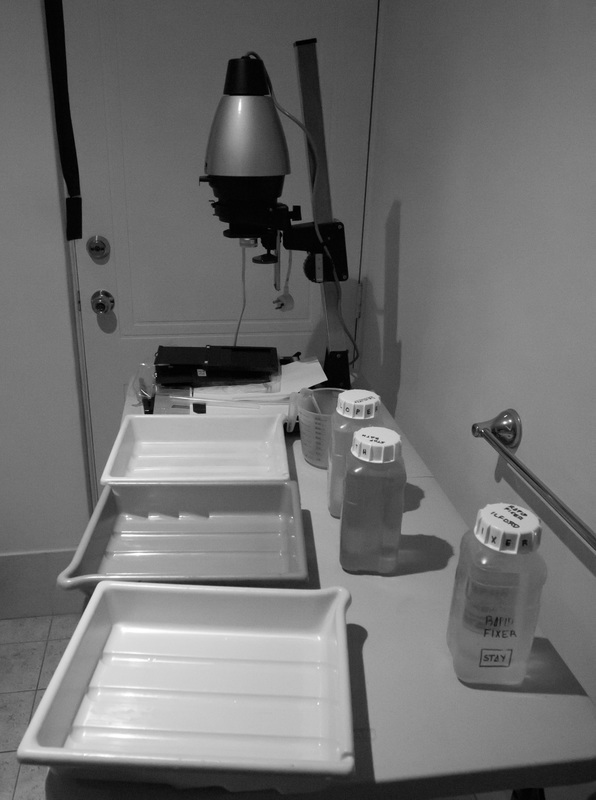 Now I have a dedicated darkroom (pictures will follow) and am still using the LPL enlarger. My process has become a bit more sophisticated as I have tried to control the process as much as possible. In order to track what I am learning, trying and failing at, I will have this dedicated page for it. Have a read, have a laugh and let me know if you have any questions.